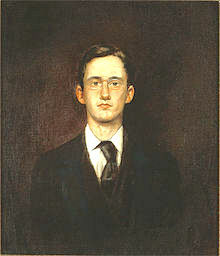 Few artists painted the moods, rhythms, and rituals of the seasons like John Sloan, who moved to New York from Philadelphia in 1904 and spent the early 20th century in Greenwich Village—living and working for almost a decade at 88 Washington Place. His windows facing Lower Sixth Avenue “gave Sloan a view of street life from an elevated vantage point, which he frequently incorporated into his paintings,” states the Museum of Fine Arts (MFA) in Boston. 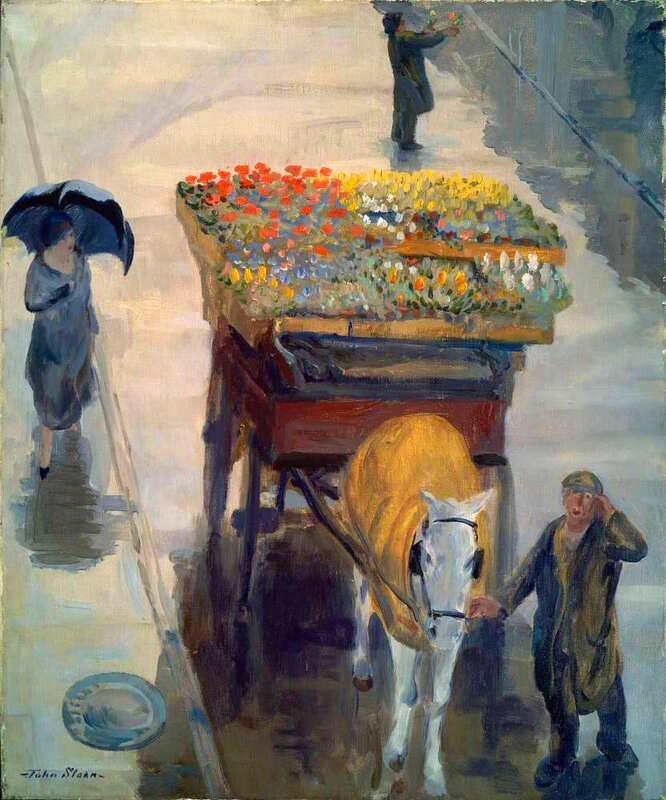 A real-life wagon loaded with vibrant flowers was the inspiration for his 1924 painting “Flowers of Spring,” which belongs to the MFA. Sloan’s beloved wife, Dolly, is the woman on the left with the umbrella. This entry was posted on March 27, 2017 at 6:50 am and is filed under art, West Village. You can follow any responses to this entry through the RSS 2.0 feed. You can leave a response, or trackback from your own site. This painting so touched me when I first viewed it years ago that I purchased a poster which hung on my wall for that long and always made me think of “those days” during which I wished I had lived. Laurie, I’ve sent an e-mail to your last known e-mail…look forward.